We have swopped around a gutter down pipe outside the MESSY STUDIO so that we could fit in the cement wash trough. 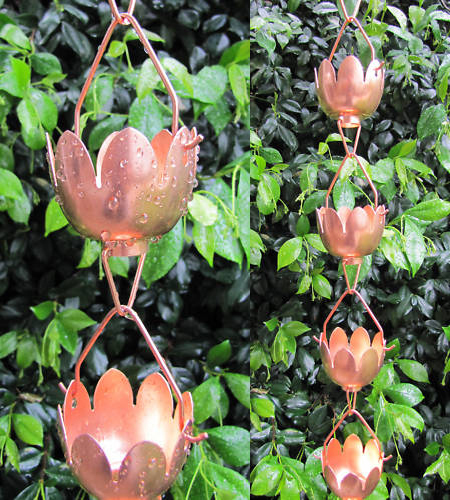 So for aesthetics and acoustics I have ordered a beautiful copper rain chain from www.stanwoodimports on EBAY, I love to shop local but in this case these babies are a little out of my price range. With weathering and age they succumb to a wonderful green patina. See the below video for how these lovelies work. I do hope they don't get stolen for scrap metal around these woods! We had all our copper plumbing nicked the day before we moved into our home.